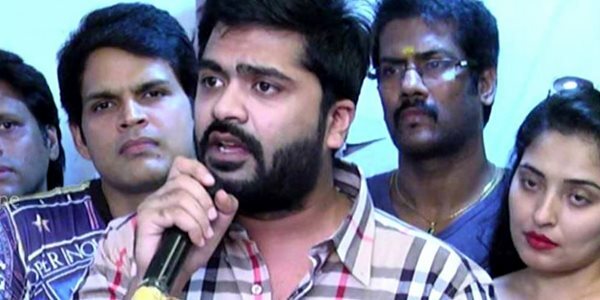 Simbu to quit Nadigar Sangam, plans for new Organization? Home » Nadigar Sangam | Simbu » Simbu to quit Nadigar Sangam, plans for new Organization? Kollywood is buzzing with the news of Simbu quitting the Nadigar Sangam. On Wednesday, Simbu told Sify News that he had quit the Nadigar Sangam because he was unhappy with the organisation. Now that Simbu has announced his decision to quit the South Indian Artistes Association (Nadigar Sangam), buzz is that, he would float a new association in association with some other actors. “Not just STR, but few other actors, especially supporters of former Nadigar Sangam president Sarath Kumar, are unhappy with the present set of office-bearers. They would come together to form a new association,” sources said. On Wednesday evening, Simbu said, “I have decided to move out of Nadigar Sangam due to various reasons. As an association who are supposed to help actors during crisis or problems, they have failed. I have not got any kind of support when I faced issues.” He also lashed out at the way the recent Star Cricket was conducted.